"And so the ancient tree, stoically imparting its grand wisdom after many centuries of perilous seasons spoke of only one great truth.....Roots." 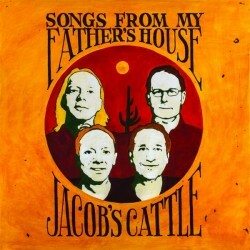 Welcome to the official page for Jacob's Cattle, the current project led by guitarist/composer Roy Patterson. Take a look around, check out some music, become a fan and receive updates and blog posts, purchase a CD and feel free to contact me with questions about the music or the band. It's all about the music here and how we can reach out and connect.